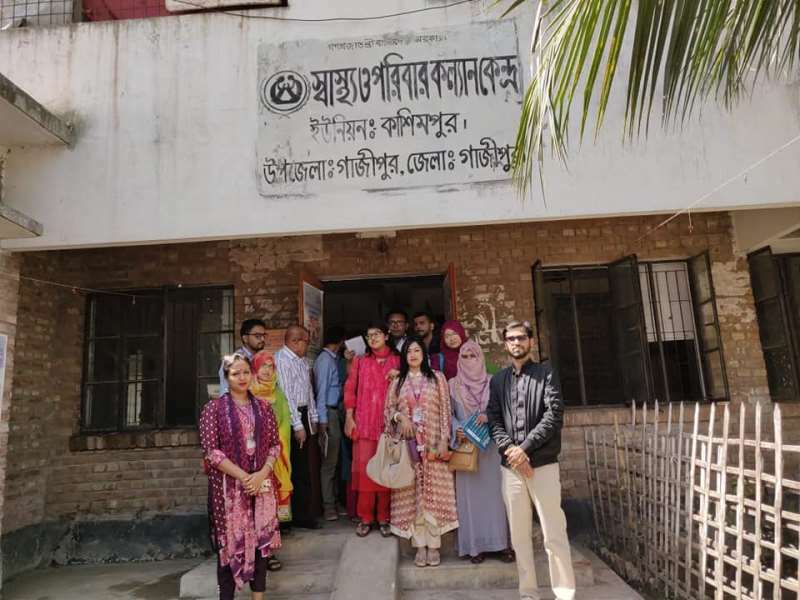 A day-long field trip to Kashempur Upazila Health Complex, Gazipur was organized for the students of Master of Public Health on February 24, 2019. The field observation was organized to orient students with the health care system available at the grassroot level of Bangladesh. Later the students visited the Effluent Treatment Plant (ETP) of Delta Group of Industries on the same day to observe and assess its waste management system and safety measures of the factory workers. Officials from the Community Health Center guided the students through their facilities and explained various aspects of their service. They explained issues like the type and number of clinic’s patients, common treatments it provides, the referral systems, the training and development programs of the clinics, etc. There are approximately 12,815 clinics across the country that provide medical service to the patients free of cost. These are aided by the Government and Non-Government Organizations. Besides providing regular treatments, the Union Health Complexes (UHCs) organize weekly health sessions to raise awareness about Health, sanitation and basic diseases. UHC represent 31% of the government health sector. This underlines the importance of this service in the context of Bangladesh. After the clinic visit, students toured the Delta Group of Industries Treat Plant to know about its purification process and safety measures of its workers. This is one of the first ever plants in the country to process industrial sludge before disposing those to rivers. Respective personnel from the factory explained the entire process as well as the protective measures taken for workers who are engaged with waste management. The field trip was arranged and supervised by Prof. Dr. A N Neaz Ahmed, Advisor, MPH Program and Dr. Kapil Ahmed, Adjunct Faculty, MPH Program. They expressed their interest to organize more similar visits on a regular basis as these provide students with wonderful opportunities to relate the real scenario with the theoretical lessons they get in the classrooms. 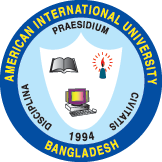 The Department of Public Health gratefully acknowledges the generous support of AIUB management for making the program a grand success.